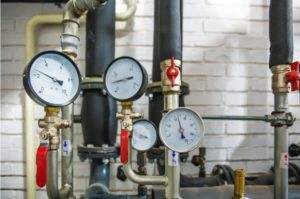 The issue with this is that a heating system may suffer more damage and, therefore, demand a lot of work or a replacement. Preventative maintenance offers a slew of other advantages that any homeowner will appreciate. ST Heating Services is the company to turn to when you need reliable and reasonably priced maintenance for your heating unit in Manchester and the North West. The biggest motivation to insist on regular maintenance for your heating system is the energy savings that you can enjoy. A neglected heating appliance is one of the most common causes of inefficiency. Dirty filters, clogged pipes and dusty vents will interfere with the airflow in a heating unit, forcing it to work more to meet heating requirements. Defective components can also influence heating efficiency. Tuning up a heating system will eliminate these issues and ensure that the appliance is working optimally, saving energy. The lower the energy loss, the more savings you make. Poorly maintained heating appliances could pose serious safety risks in a home. Electrical systems can cause fires if some of the connections are not properly done. A damaged heat exchanger can leak carbon dioxide and poison the occupants. Every homeowner must ensure that a heating system is safe for all the people using it. Qualified technicians will check every aspect of the system to guarantee that each component is working as it should, which reduces the risks of anything happening during operation. Preventative heating system maintenance can offer significant savings when done right. When you hire ST Heating to tune up your unit, you provide technicians with an opportunity to spot problems before they get worse. A small leak in the heating pipe is a minor issue that a technician can fix with quick repairs. However, leaving such a leak unattended can result in severe problems like a burst pipe that requires a full replacement. Proper maintenance ensures that you don’t give small issues a chance to blow into costly repairs. You enjoy considerable cost savings this way. ST Heating is the ultimate solution for effective and extensive heating system maintenance. We have expert engineers who have worked with different types of heating systems. They are Gas Safe registered and fully licensed, so expect superior standard services in accordance with regulations.